The Driver and Vehicle Standard Agency (DVSA) announced a total of 43 vehicle recalls in December 2015 across cars, commercial vehicles and motorcycles. We’ve listed all of the van- and car-related recalls below, which include more than 100,000 Toyota models with a small fire risk and thousands of Peugeot and Citroen models with potential fuel leaks. Toyota often ends up in headlines when it comes to recalls, despite its cars often topping reliability surveys. In December 2015 it issued a recall for more than 100,000 examples of the Corolla, RAV4, Auris, Highlander, Urban Cruiser, Camry and Yaris because the electric window master switch could melt following a short circuit, with a small risk of fire. 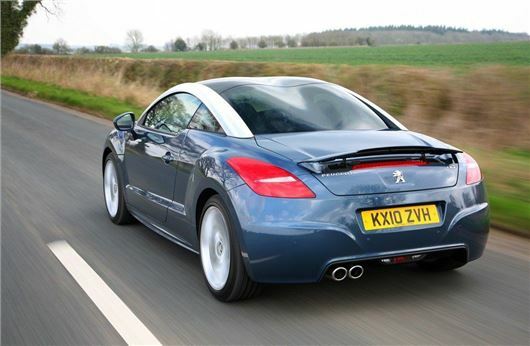 PSA, parent of Peugeot and Citroen, issued a large recall in December too. The recall affects more than 9,000 Citroen DS5, C5, C4 Picasso, Dispatch III, DS4, C4 and C8 models, along with more than 12,000 Peugeot 308, 3008, RCZ, 5008, 807, 508 and Expert III models. The fuel heater on diesel variants could be defective, letting air in and fuel out of the system, resulting in a leak. Cars where this problem has already developed should display a warning light and may not be running well. However all recalled cars will have a new fuel heater cover fitted and an electrical connector inspected. Vauxhall issued a recall of the Zafira B over concerns the air conditioning system could malfunction, resulting in a serious fire. The story broke earlier in the year – you can find more detail on the issue and the solution in a dedicated news story by clicking here. Other cars to be recalled in December included the Ferrari California T and 488 GTB, over potential fire risk, along with the Mercedes-Benz GLE and GLE Coupe, because the windscreen wipers may fail. The BMW i3 and i8 could have potential steering problems, though just 41 cars are affected. The full list of car- and van-related recalls issued in December 2015 is below. Click individual entries for more detail, including build dates, VIN numbers and numbers affected.